Check out the NEW Fresh Pan Pizza from Papa Murphy's! I know I have mentioned that I am not a big fan of cooking meals before...I have gotten better over the years, for sure, but I can still say with complete honesty that I don't look forward to meal time each day. That is why I give myself a break on Friday nights and we have started the tradition of pizza night in our house! 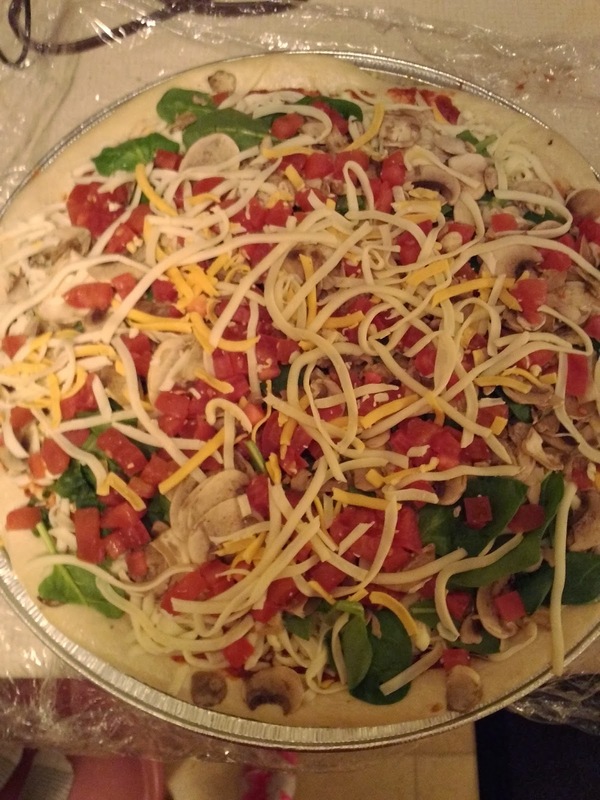 We like to change up what kind of pizza we eat each week and last week we had the pleasure of trying the NEW Fresh Pan Pizza from Papa Murphy's! We love pan pizza and the thicker crust so we were so excited to try this new Pan pizza from Papa Murphy's! We ordered the Veggie delite Pan Pizza and it looked delicious EVEN uncooked! :) We bought it the night before (because there was a huge snowstorm coming through!) 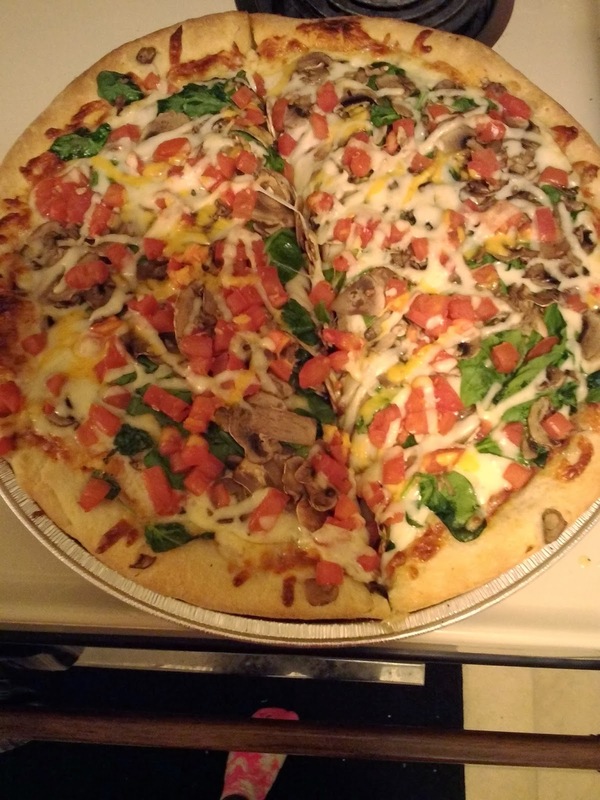 and I loved that not only is Papa Murphy's pizza made to order and completely customizable with your favorite fresh ingredients, but I can control when I am ready to eat it and pop it in the oven! It tasted great on Friday and I didn't even have to head out to get it or get it delivered and pay extra! And let me tell you from experience - this new Papa Murphy's Fresh Pan pizza is a must-try for serious pizza lovers! The irresistible buttery crust bakes up golden brown and perfectly crispy on the outside, soft and fluffy on the inside. The rich crust is the perfect canvas for Papa Murphy's fresh, high-quality toppings and will come piping hot out of your oven at the exact point of pizza perfection! This Pan Pizza was so good and a great way to end a long week! I could get it when I want, bake it when I want and eat it when I want! Plus, it was worth the wait!!! I am so happy that they now offer Pan Pizza - it is now my fave from Papa Murphy's! Buy It: You can purchase the New Fresh Pan Pizza from your local Papa Murphy's store!